"Governor Wolf, let me tell you, between now and November 6th you'd better put a catcher's mask on your face, because I'm going to stomp all over your face with golf spikes," Wagner said in the two-minute video, jabbing his index finger towards the camera. 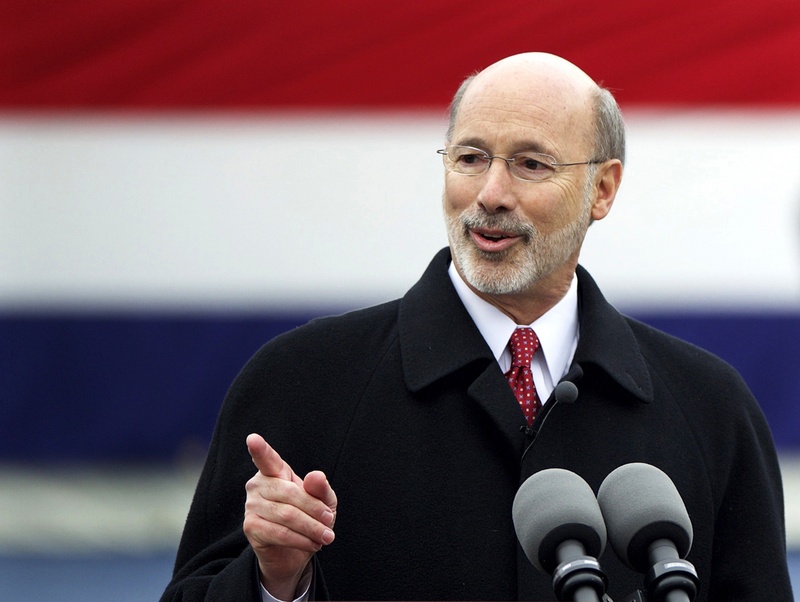 "I'm going to win this for the state of Pennsylvania, and we're throwing you out of office." In the video, Wagner is standing in front of the billboard. Wagner posted a video in response to a billboard in York, Pennsylvania, which claimed that Wagner's trash hauling company had strong-armed 6,979 customers into paying their bills. The billboard was not placed by Wolf's campaign, but by PA Spotlight, a left-leaning advocacy group. Wagner defended his lawsuits against customers who did not pay their bills, saying that "if you have a company and you render a service, you want to get paid for it." He said that the billboard was discouraging for small businesses that want to collect their money from customers. And he held up stacks of paychecks -- 600 -- for his payroll this week, to demonstrate his small business prowess. A spokesman for Wagner told PennLive that his "golf spikes" comment was "not meant to be taken literally." Polling has shown Wolf to be significantly ahead of Wagner. A Franklin and Marshall College Poll from September showed Wolf 22 points ahead of Wagner. The Cook Political Report has rated the race as "Likely Democrat."